Like many travelers, my conventions fell by the wayside on a bumpy road in Costa Rica. My spirited cabbie, we’ll call him Alvaro, pointed to a rickety roadside bar and asked, “¿Quieres una cerveza?” Would you like a beer? Drinking and driving, statistically speaking, don’t mix well. But I weighed my options nonetheless. Motherly admonitions, Darwinian theories, hell – even Nancy Reagan’s “Just Say No” campaign screamed through my synapses, if only to be ignored. Years of conditioning to the wind, I shrugged. Why not? I was, after all, in paradise. Alvaro grinned, pulled over, and waved at a crowd of grinning locals – which turned out to be his entire extended family. We sipped on Imperial, the patron brew of Costa Rica, paired with fresh fish ceviche and crispy tortilla chips. Never would I have guessed that an outstretched thumb would lead me to a beer-fueled Costa Rican family reunion. Later that night, my incredulity continued: I watched a mini-supermarket transform its tiny patio into a nightclub, and attempted (failed) to dance salsa while a thunderous rainstorm rattled the tin roof, almost drowning out the thumping bass. Watching Costa Rican teenagers grind on each other like they were auditioning for a Nelly video, I had somewhat of an epiphany: “going with the flow” in Costa Rica is highly recommended. Earlier that day, I hitched a ride from Pavones, a wild little surf town, to Punta Banco, a tiny village at the end of a dirt road just north of the Panamanian border. Here, palm trees dominate the skyline rather than vacation condominiums. The motorbike coughed away, leaving me on the beach to watch the waves. Perfect, lapis lazuli A-frames curled one after another like the corners of a book’s pages caught in the wind. There wasn’t a soul in sight, let alone another surfer. I made my way to Ricardo’s house. A dreadlocked local with a constant smile (perhaps due to the post card beauty of his backyard), Ricardo rents out decent boards for a fair price from his small quiver. 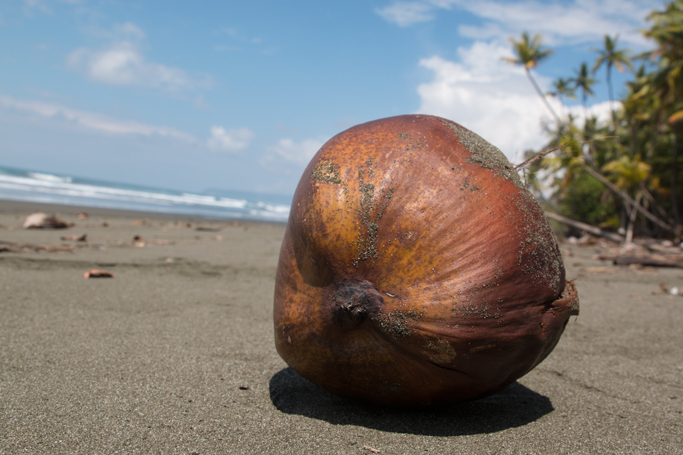 I’d walk back to Costa Rica just for one of his wife’s smoothies, blended from garden-fresh passion fruit and pineapple and coconut milk gathered from palms along the beach. After a smoothie and some old-fashioned conversation, I walked back to the empty beach, a rented 6’2” thruster under my arm. The waves were still peeling. Unaware of anything occurring elsewhere in the world, I surfed that empty break until I couldn’t lift my arms. Back on the beach, breathless and beaming, I looked up at the sun and tried to figure out the time if only for the fun of it, having long since relegated my watch to the recesses of my backpack. In Costa Rica, time is a suggestion rather than a fact. Time is a recommended rhythm, a varying drumbeat, always shifting – ebbing and flowing like the swell of the ocean. 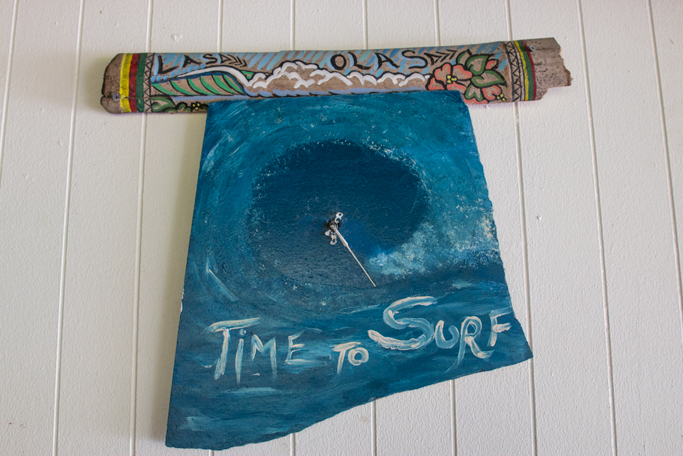 Clocks are replaced by swell forecasts. Alarms are swapped for howler monkeys. Taxi drivers pull off en route to buy you a beer. 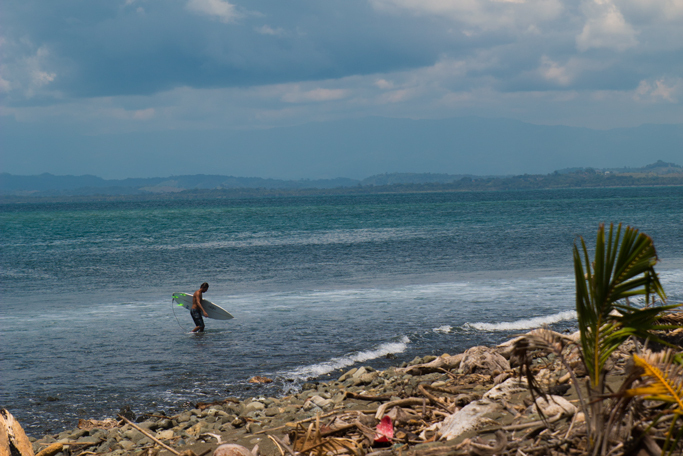 In Costa Rica, you’ll find yourself on a schedule dictated by waves. You’ll walk slower. You’ll lose track of time. You might find yourself surfing the best wave of your life, dancing in the rain outside of a family-run mini-supermarket, or drinking a beer with a cab driver whose name you can’t pronounce while the sun sets over the Pacific.